At Car Clinic MOT Centre Ellesmere Port we aren’t just your local MOT experts. 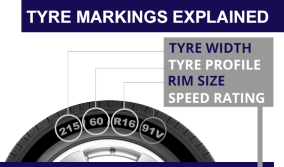 We also offer a range of tyres from all the leading manufacturers. Read on to find out more about Davanti Tyres. Davanti tyres are developed and manufactured using advanced tyre technology at their world-leading manufacturing plant. The use of an enhanced silica compound combined with their innovative tyre tread designs means that every Davanti tyre is built for the best in the areas of performance, efficiency and comfort. You can lead the way with Davanti Tyres: Here’s what makes a Davanti Drive Different. Davanti tyres have an enhanced silica compound and innovative tread design. Their advanced tyre technologies bring you optimum handling, efficiency and comfort. Performance is right at the heart of every Davanti tyre – from their outstanding wet grip to their low road noise. With their outstanding wet grip performance and low noise, Davanti tyres often lead against other performance brands when tyres are tested. Each Davanti tyre is designed with care and tested against tough criteria to make sure they are delivering the best performing products. Only after thorough testing does a Davanti tyre go into production. The result is a tyre you can trust. Davanti tyres offer you premium performance and quality at an unbeatable price. They are made of superior materials and have advanced tread patterns – Davanti Tyres are the tyres you can trust. You can drive with confidence: you are in safe hands with Davanti tyres. Their all-weather grip and dynamic design gives a smooth drive and superb stopping power. What’s more, every Davanti tyre comes with a lifetime guarantee from the manufacturer. Whatever the conditions, whatever the drive: you can have confidence in Davanti tyres. Customers matter to Davanti tyres.